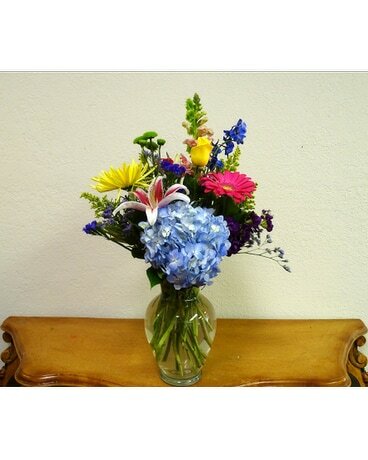 This is our Classic Signature vase. 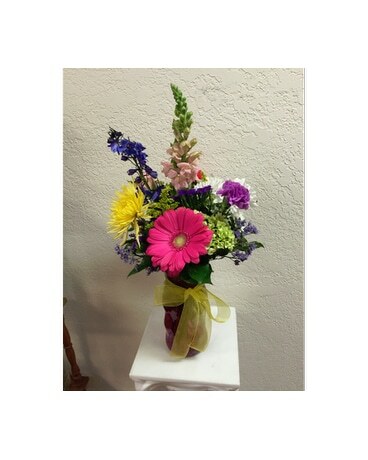 The fresh flower arrangement brings the beauty of color to any occasion. 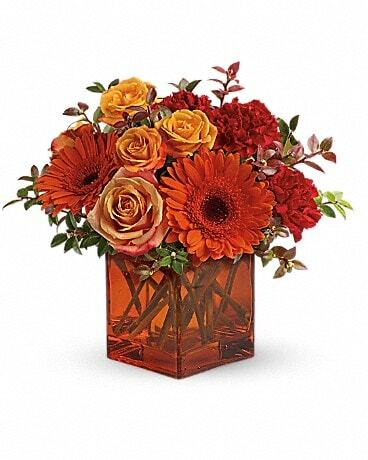 Hydrangeas, Gerberas, spider mums, snap dragons, lillies and other assorted flowers bring a true splash of color to the occasion.